Portugal has significant experience in a wide range of adapted sports, including basketball, handball, swimming, sailing, goalball, canoeing, archery, and boccia. The same applies to Portuguese Paralympians, particularly where boccia is concerned.Â Since it became an official sport of the Paralympic Games in 1984, Portuguese boccia athletes have been the recipients of numerous medals and have made Portugal proud. Boccia was introduced to Portugal in the 1970s. This constituted a positive impact in terms of increasing disabled peopleâ&#x20AC;&#x2122;s involvement in, and contribution to, society. After 2008 however, the podiums of boccia championships at the international level began to be dominated by Asian athletes, who were stronger, in terms of material and financial resources (due to significant state aid), and human resources (there were many young people who practiced it). However, Portugal is still recognised as one of the great European boccia nations. The factors which have led to Asian nations success in boccia are also the two greatest needs in Portugal: material and financial support of the sport itself, and human resources, namely young athletes. In terms of competitive ability, athletes reach their peak between age 25 and 35. However, there is a lack of youngsters practicing the sport from a young age, which leads to a smaller pool of future athletes. Moreover, the goal of equality and accessibility set by the EU Disability Strategy (2010-2020) is still far from being a reality. Boccia is itself a highly inclusive sport, since persons with any disability and high degree of incapacity can practice it. It is known that boccia is already included as one of the options for school sports in some regions. However, there is no concrete information of where and how the actions take place. It is our goal to take the modality to the youngsters in schools and to do it in a regular and systematic way. At the same time, this would be an opportunity to raise awareness among youngsters about human rights of people with disabilities and work on deconstructing prejudices and stereotypes which remain deeply entrenched. AIM OF THE PROJECT The specific objective pursued by the Erasmus+ Programme in the field of sport that this project is going to tackle is to promote voluntary activities in sport, together with social inclusion, equal opportunities and awareness of the importance of health-enhancing physical activity, through increased participation in, and equal access to sport for all. This project aims to raise awareness of boccia as a good practice for social inclusion, equal opportunities, awareness of the importance of health-enhancing physical activity and equal access to sport for all, through volunteerism and non-formal education. 3. Promote synergies with and among stakeholders at local, regional, national and international levels, focused on promoting sport and physical activity and tackling the sport-related challenges. CONCERNING THIS MANUAL: It is intended that this manual of good practices is fully accessible, open license and free to be downloadable. Thus, it was written in Portuguese and English, and in an accessible language that serve the public in general and with specific formatting and colors features, and the incorporation of a proper language code for those with intellectual disabilities. In addition, thereâ&#x20AC;&#x2122;s an audiobook with the reading of the recording, with subtitles in both languages and explanation, which will serve the deaf community, blind people and those who cannot read. Physical Activity Promotion Agency (APGA)Â - Slovenia APGA, the theme of the project is relevant in the sense that they work in the area of physical activity involving all target groups, organizing sports projects and events inclusive for all people to participate. European Institute for Local Development (EILD) - Greece EILD operates as a social player in collaboration with local and regional organizations and institutions in the fields of Education through New Technologies activities. Specifically, it provides Non-formal/ Vocational education, ICT education and innovative educational activities Integration of educational solutions into mainstream curricula specialized education for specific groups. Also, our organization focuses in the Vocational Education & Training, Regional Development Exchange of Knowledge, Capacity Building, Awareness Raising and Research & Development field. Associazione Sportiva Dilettantistica Margherita Sport e Vita Basket (MSV) - Italy MSV has been engaged in project supporting social integration of all citizens (youth and senior, including marginalized, disadvantaged persons, people with disabilities and immigrants. Through trainings, workshops and seminars the organization has reached out to vulnerable social groups and communities including school children and youth activating them to take part in sports activities outdoor. Their activities have helped to reduce the social inequalities and has supported the integration of all participants in social groups. MSV has linked schools with sports organization and has involved local decision makers such as local departments of Municipalities, Regional Government Institutions in promoting and sustaining sports activities. 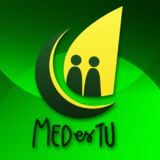 PARTNERS MEDesTU Association - Portugal MEDesTU empowers youth through non-formal education based on a self-directed learning process and, at the same time, informs youth, contributing to the demystifying of stereotypes and prejudices in general. The promotion of human rights and volunteerism are two of their core values. As part of our members, we have a young woman who is a boccia athlete, recruited recently for preparing for integrating the Portuguese national team. She’s a wheelchair user and her experience as long-term practitioner of adapted boccia easily clarified the connection between boccia as a highly inclusive sport, which attends to disability and gender equality, and the empowerment of young people through sport. It was the necessary bridge for the launch of this project. Additionally, she has a particular interest in human rights of persons with disabilities, an area which still has large gaps in the Portuguese context. In this sense and for the last 2 years, she has been involved in the dissemination of the Independent Living Movement, which hasn’t yet been implemented in Portugal. Centro Universitario Sportivo Palermo - Italy Centro Universitario Sportivo Palermo is a very old sport organization with a experience in long-term project about the sport, lifelong learning and training courses such as training and networking activities on education and training, ICT, development of innovation, transfer of innovation, immigration, equal opportunities, culture, interculturality, disability and learning disabilities. ABOUT THE PROJECT | WHAT IS BOCCIA? Boccia is a form of boules quite similar to petanque. But contrary to petanque, boccia is primarily played indoors. Boccia is a technical and strategic precision sport with the objective of placing one’s own balls as close to the target ball, called the jack, as possible and simultaneously keeping the opponent from scoring by shooting their balls away from the jack. A set of boccia consists of 6 red and 6 blue boccia balls, as well as a white jack ball. Each ball has a circumference of 270 mm and weighs approximately 275 g. Many different people benefit greatly from playing boccia. It is a sport everyone can take part and acquire new skills in. Boccia is a Paralympic sport, but it is also a very popular non-elite mass participation sport. It is said that boccia is the fastest growing sport in the world! Boccia Rules: Two teams play against each other. One plays against one, two against two or three against three. If desired, you can add the rule that the players have to sit down while shooting. Otherwise, you can let the players decide themselves whether they want to play sitting or standing. The dimensions of an official boccia court is 6x10 meter, but a 3x5 court can work as well – simply use the space available! You can choose to mark the starting line or the entire circumference of the court with tape. One team plays with the red balls, the other plays with the blue balls. The players are sitting or standing next to each other facing the starting line. The game begins: Team Red beings by throwing the white jack ball onto the court. Then, Team Red throws a red ball, trying to place it as close to the jack as possible. Then Team Blue throws one or more balls, attempting to place one of their balls close to the jack ball. When a blue ball is closest to the jack ball, or when Team Blue is out of balls, the turn reverts to Team Red. If the jack is pushed out of court, it is reinserted into the middle of the court. If desired, you can mark the middle with a cross. The game then continues.When all balls have been thrown, the round is over. Counting point: The team whose ball is closest to the jack has won. 1 point is given for each ball closer to the jack than the opponent’s closest ball. Minimum points per round is 1, maximum points is 6. If there is a tie – e.g. if both a red and a blue ball is touching the jack – both teams are given 1 point. In the next round, Team Blue starts the game by throwing the jack onto the court. A boccia match consists of four rounds (called ends in the official rules). Boccia court: At boccia competitions, the court is marked with boccia tape. The white jack ball must be in the dark grey area; if it lands in the light grey area when thrown, it is given to the other team who re-throws it. If the jack ball is shot out of court during play, it is placed on the cross marked in the middle of the court. BOCCIA DISSEMINATION ACTIVITY REPORT FROM ITALY Venue and date: This dissemination activity took place in Foggia, on the October 30th, 2018. Material: Referee kit and the ribbons to set up the pitch; the rest of the material was improvised, using plastic balls, which was unfit for Boccia practice, but served its purpose. Image no:1 The official Boccia court is ready and red, blue and jack balls is put in place. Image no:2 Players are standing next to each other on the starting line. Target group: Despite the fact that it was meant to be for Boccia teachers and coaches, there were people with special needs (intellectual disability) among the practitioners. Language: The presentation was prepared in English. The audience didn't understand English (nor Portuguese), but a Spanish translator was found, which facilitated the process. Program: Due to the above-mentioned setbacks, the presentation couldn't be done in its entirety, thus leaving to practice sports. In practice, the 25 practitioners were divided in 2 groups: one used a real-sized field and the other a smaller field. The trainers explained the rules and the game model. Everybody enjoyed and the activity was considered a success. Image no:3 Before activity started, trainers are informing the players about boccia rules. Image no:4 Activity started and balls have been thrown onto the court. Venue and date: This dissemination activity took place in Ljubljana, on the November 10th 2018. Material: The practitioners used a proper Boccia kit. Target group: Boccia coaches and practitioners. Imagine no:5 The Boccia court is ready and players are waiting for the activity to start. Imagine no:6 One of the players that is on starting line is listening last instructions of trainer. Language: The presentation was done in English, and received questions and constructive feedback, both by coaches and by practitioners. Program: It was shown Boccia Skills practice, which is held in Portugal with children, and later for the formal game of Boccia. In short, the activity was a success. Image no:7 One of the players is throwing ball onto the court and trainers are watching the player. MEDesTU is a non-profit youth association based in Porto that promotes youth empowerment through non-formal education, promoting the deconstruction of stereotypes and prejudices. 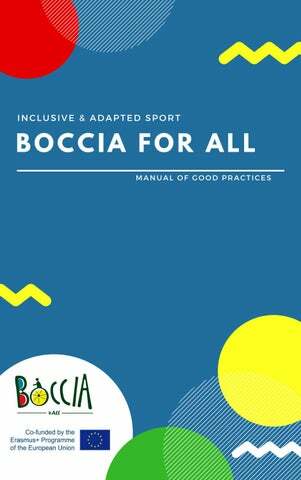 In the course of 2018, we will develop the Boccia4all project (Boccia for all Inclusive & adapted sport), which is an international collaborative small partnership project under the Erasmus + Sport Program. Boccia4all aims to map Boccia's (good) Portuguese practices in a recreation and leisure perspective, through a manual and a site that works as a platform that brings boccia stakeholders (schools, institutions and practitioners) with information that will serve recreation and leisure. Subsequently, its results will be disseminated by partner countries: Slovenia, Greece and Italy. This form aims to collect data from all institutions at national level, related to Boccia in a recreational or leisure, competition and school sport, to elaborate the mapping and geolocation of the represented institutions, as well as the creation of a Manual of Good Practices. - Type of Entity: - If it is a school, the Boccia is included in School Sports: - Person(s) of contact (connected to Boccia): - Address: - Municipality: - Telephone: - Email: - Website: - Social networks: - Do they have regular practice within the institution? : - Have you ever held competitions? : - Difficulties encountered in the practice of Boccia: - Recommended bibliography on Boccia: - Comments and / or suggestions (also on other entities and / or persons related to Boccia, etc. ): - Modality(s) of Boccia practiced (senior: competition or leisure, adapted: competition or leisure): - Target group (children, the elderly, visual disability, motor disability, hearing disability, intellectual disability, etc.): . Agrupamento de Escolas Gonçalo Nunes - Escola Básica Gonçalo Nunes - Type of Entity: School - The Boccia is included in School Sports: Yes - Person(s) of contact (connected to Boccia): Jaime Carvalho /(responsible for the Boccia group-team) - Address: Avenida João Duarte, 4750-175 Barcelos - Municipality: Barcelos - Telephone: +351 253 812 296 - Email: josejaimecarvalho@aegn.pt - Website: https://aegn150710.wixsite.com/aegn - Do they have regular practice within the institution? : Yes, 4x/week - Have you ever held competitions? : Yes, on average 2-3 competitions per period - Data e link: Adapted Boccia Championship in Barcelos, 23/03/2018, http://barcelossaudavel.barcelos.pt/ - Difficulties encountered in the practice of Boccia: Cost of the material and its easy deterioration - Recommended bibliography on Boccia: “Coaching Boccia” from the Australian Paralympic Committee - Comments and / or suggestions: Sporting Clube de Braga - Modality(s) of Boccia practiced: Adapted: competition - Target group: Children with visual, motor, hearing, intellectual impairment, etc.